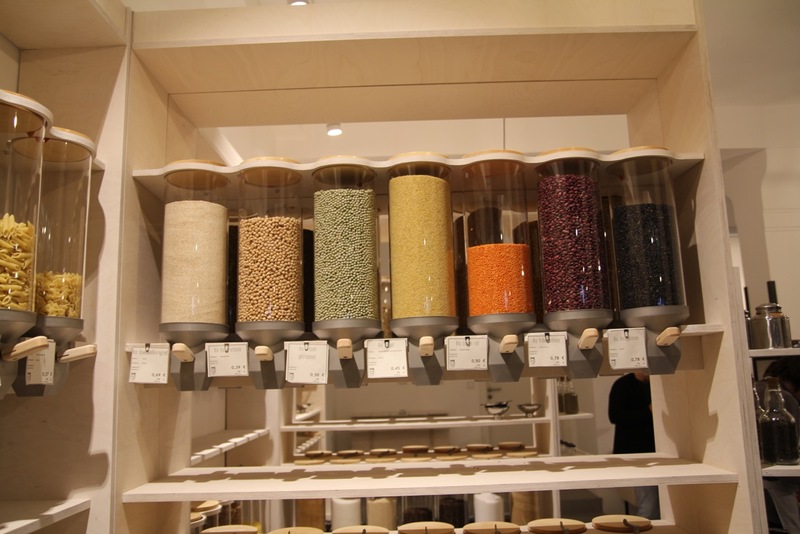 With OHNE we want to offer people an alternative to ordinary grocery shops. We want Plastic free and waste free shopping to be easy, accessible and fun. At our store, you can bring your own containers and buy the exact amount you need. By offering this type of shopping experience we hope to raise awareness for subjects like food waste and pollution through packaging and plastics. Be the change you wish to see is one of our favourite mottos. In the beginning of 2014 we (Hannah and Carlo) switched to a Zero Waste Lifestyle. We instantly loved it and knew we wouldn’t want to go back from there. Our enthusiasm didn’t reach our friends though. Almost everyone we spoke to, liked the idea of living a zero or less-waste Lifestyle but at the same time thought it to inconvenient. It was then that we thought of opening a Zero Waste Shop in Munich. A successful Crowdfunding campaign (thanks again everyone!) 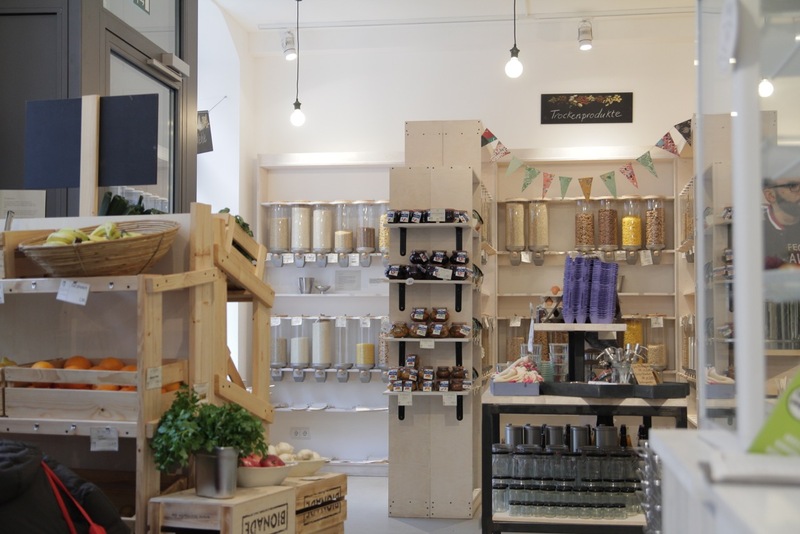 followed during which Chrissi joined the team and together we opened Munich’s first Zero Waste and Unpackaged Shop in early 2016. We hope to reach more and more customers with our project. We meet so many great people every day and every single one of them makes a difference by defining their choice of consumption. We would love to open a couple more shops around town to spread our message and the idea of Zero Waste. 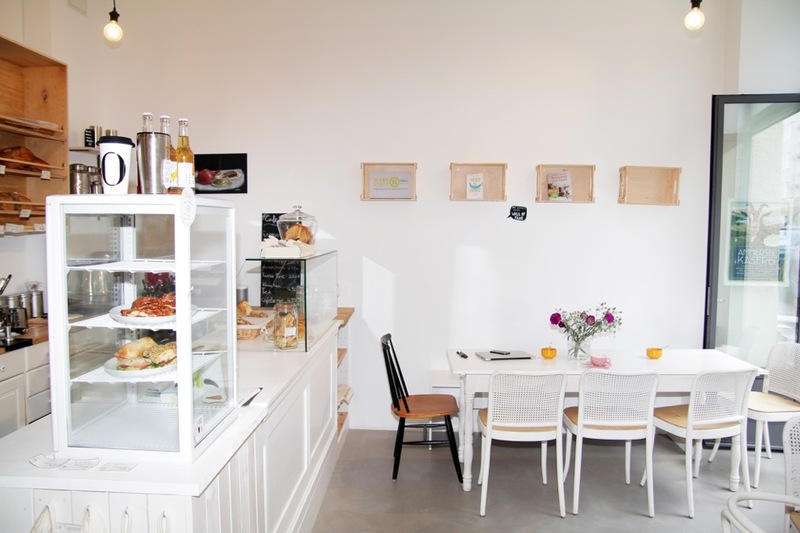 Apart from being a shop we also see our space as a meeting place for curious und likeminded people.